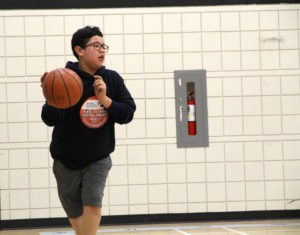 This new MFNERC program supports physical education and health programming in First Nations schools through promoting innovative strategies and creative programming for physical education and health teachers to enhance the provincial curriculum. The program promotes networking, information sharing and other professional development (mini-sessions) to enhance physical education/health programming. It also provides professional development (PD) opportunities for First Nations school staff to upgrade skills on an annual basis. The 2018 Youth Forum was a full day of teachings, games, and mental health awareness working groups.